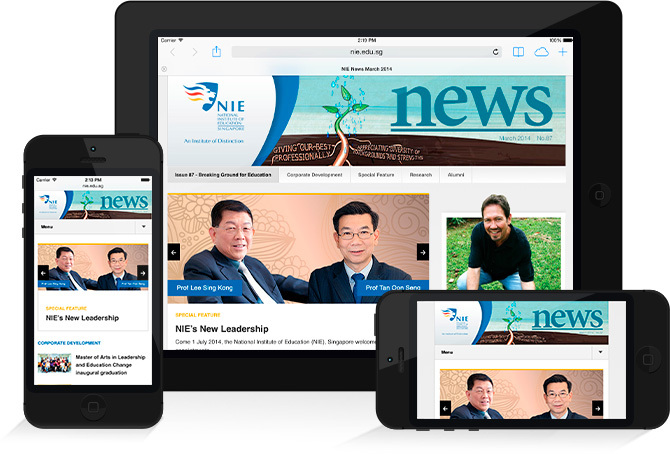 The National Institute of Education(NIE) News is a quarterly newsletter published by the National Institute of Development on latest news, developments and events at NIE. The design is appealing to the readers with usage of images across the site yet simple in layout and navigation for ease of reading. User engagement is enhanced with the dynamic design applied. We applied a careful use of specific placement and sizes. 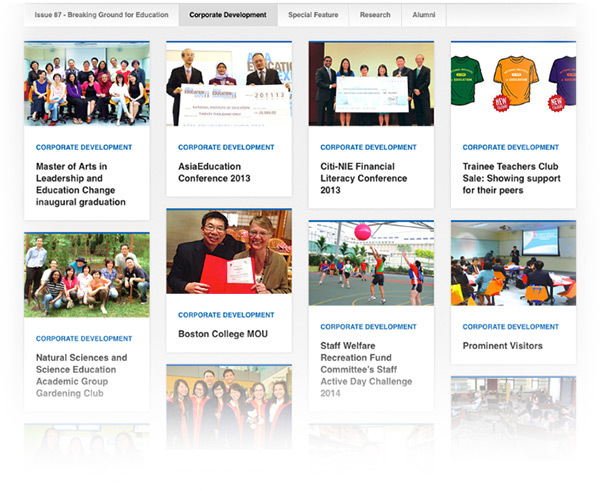 Contents are organised and grouped according to the type of news with colour labels. Sleek design that lists news issues in chronological order without grabbing too much attention. Users are able to view a large amount of news contents in one quick glance through an organised grid layout. Readers are able to consume news on the go as contents are beautifully displayed to fit for all screen sizes. 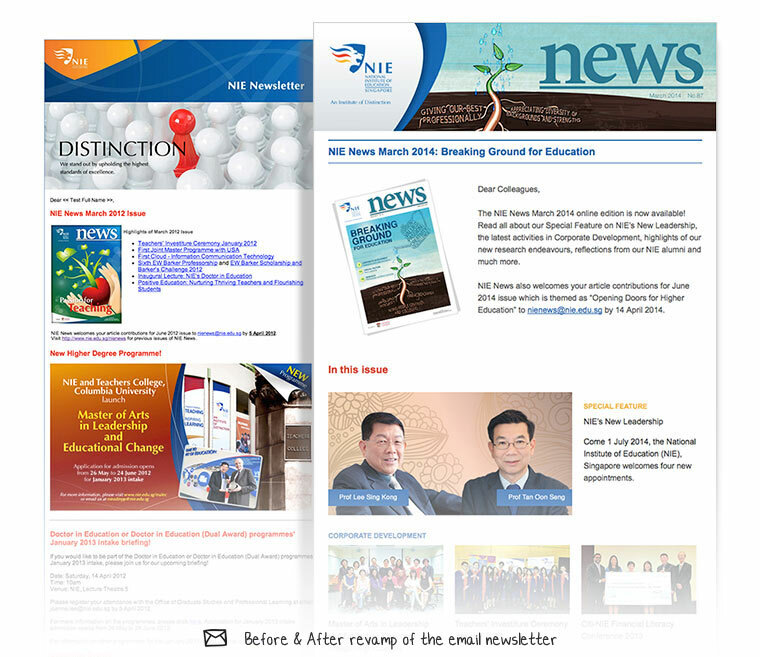 The email newsletter was also updated to reflect the new website design. 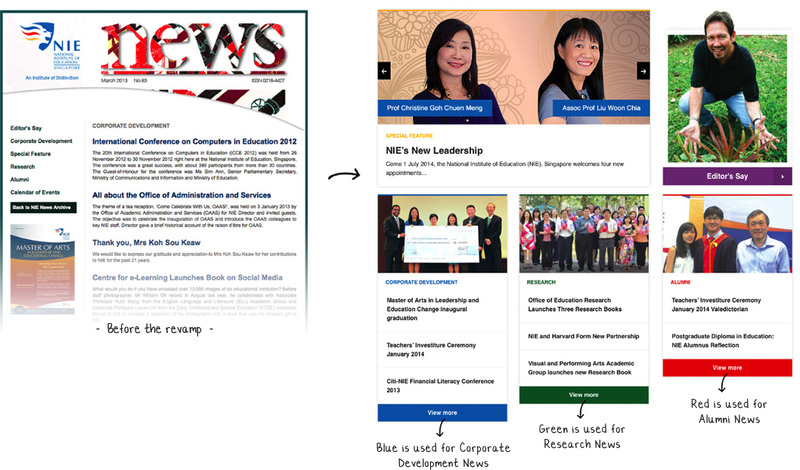 Improvements were made to typographical elements for a better reading experience. 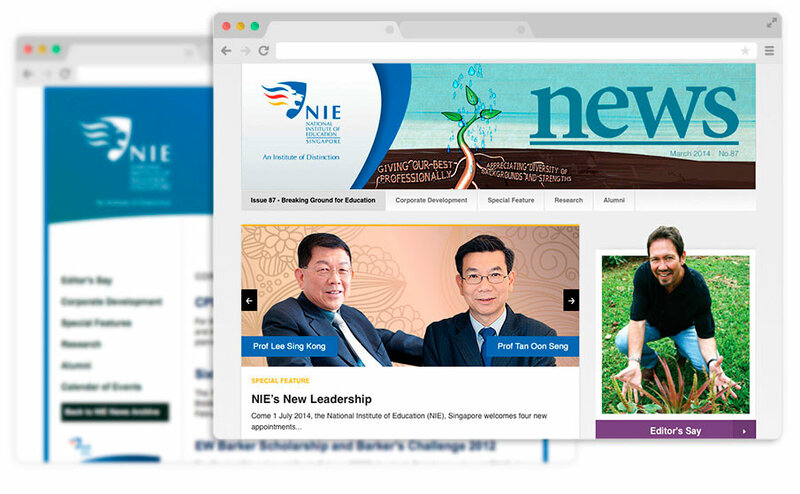 Since the launch of the revamped newsletter, the rate of traffic and mobile visitors have increased significantly. The percentage rate of visitors coming to the website increased by 267%, with more users interacting with the site at an average of 3 pages per visit. There was a notable growth of 54% in mobile traffic since the launch of improved newsletter.